XXR Wheels for Accord on SALE at CARiD - Save Big!﻿ - The unofficial Honda Forum and Discussion Board Forums For Honda automobile and motorcycle enthusiasts. If your project car build is still waiting for a final touch, and you're now looking for an ideal aftermarket set of wheels, take a closer look at the promotional offer on XXR Alloy Wheels at CARiD. 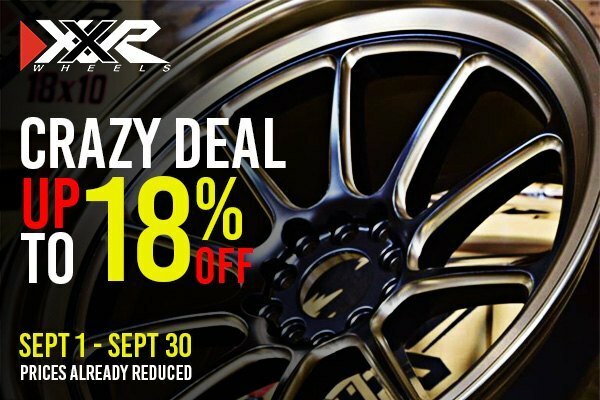 Till September 30, 2018, purchase any XXR wheels set and save up to 18% OFF the original price. Act now, as this is a limited time offer, which is valid until the stock lasts. XXR specializes in top-of-the-line aluminum alloy performance-oriented offerings, manufactured to provide you with the everlasting durability and years of great shine and looks. Take a closer look at the list of rims offered by XXR for your Honda Accord on our website. Emphasise your personal style and install a reliable set of wheels on your Accord bought at a reasonable price at CARiD.